See below the search results for Hvar real estate for sale – The island of Hvar has had a lot of international exposure in recent years, with celebrities having been photographed on holiday in the old town of Hvar. The island has always been a popular hot spot for foreign investors buying real estate in Dalmatia. There has been a considerable rise in demand from buyers looking to capitalize on the island’s increasing popularity as a leading European island destination in recent years. Apart from the glitterati, it is not surprising that Hvar is attractive to everyone, with its numerous seaside towns, inland villages and with much of the island remaining relatively unspoilt. Hvar has excellent transport connections to the mainland by ferry, fast boat and seaplane, which has further encouraged people to invest in Hvar property. There is something for everyone on Hvar property market, in Hvar town, Stari Grad and Jelsa – there are renovated old stone houses, stone ruins for renovation, newly built seaside apartments and land plots especially on the south side of the island which are perfect for building luxury villas with swimming pools. 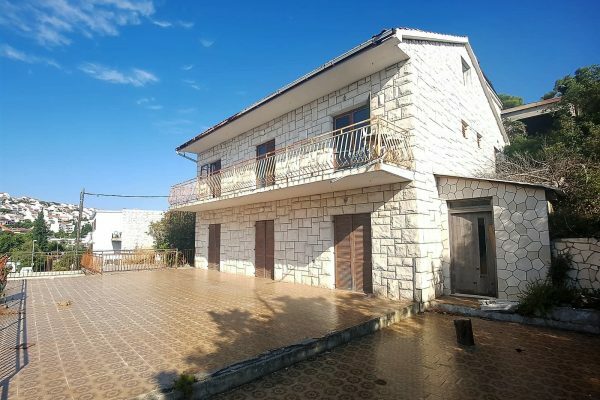 However, due to a combination of culture, tough planning regulations and the lack of infrastructure in new building zones, there is a poor supply of newly built Hvar property for sale. Much of what comes on the market is a resale, be it an apartment, a villa with a pool or a renovated house in one of the seaside villages. Property prices on the island vary, with properties in Hvar town being the most expensive, followed by properties close to the sea in Stari Grad, Jelsa, Vrboska and Zavala, Ivan Dolac and Sveta Nedjelja on the south side. Bargain hunters need to look towards the inland, where they will get better value for their money. Be it general information that you are looking for or details about some specific Hvar property for sale, Hvar real estate prices, market trends, the best places to buy property on the island – we are here to help you find your perfect Hvar property.